Create an impression with printed labels! NEW ORDERS: Call us today to order custom labels. You can choose your label shape, color, type style and even use your own artwork. We will guide you through the process and make it easy to place your order! 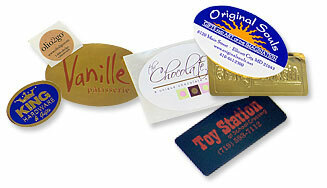 REORDERS for printed labels: Reorder your printed labels by calling us at 1-800-547-9727.